Reggae Riding- So Hum Mountain Bike Festival: All about the Music! Reggae Riding promises the best line up in SoHum all summer! Get ready to dance the night away. To start the evening's festivities, SoHum's hardest working band, the NPK is sure to move your feet and gather an enthusiastic crowd. 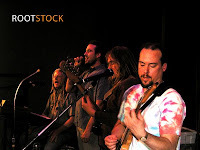 Then Rootstock, a highly respected 5-piece rock/ World Reggae Fusion Jam Band will get you feeling Ire. And finally, announcing the new Reggae Riding Headliner, Prezident Brown! 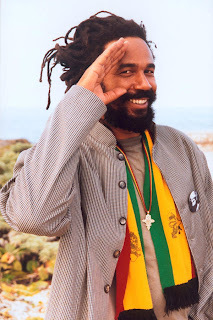 A world-renowned reggae artist known for his rootsty, conscious dance hall music with lots of live instrumentation. Reggae Riding is absolutely thrilled to have Prezident Brown playing at the show and invites the whole community to enjoy his presence in SoHum as part of his tour of the West Coast! Check out the band sites below to sample some of their music and to get excited for what is sure to be an un-forgettable show! Note: For all race info such as categories and course descriptions, please click the "older posts" link at the bottom of this page. Thanks! Thank you so much for bringing the Prez! He & his band are awesome! But I'm not sure what NPK was doing there, they've got about as much to do with reggae as Jimmy Dean pure pork sausage has to do with the Chief Rabbi of Jerusalem.